In an ideal world, when signing a new lease for a commercial property you would hope that everything goes smoothly through to when the lease expires and it’s time for renewing. Unfortunately for some, this is not always the case. If you are a tenant, business can be quiet which could result in a missed payment, or if you are a landlord, you could find your tenant has changed part of the premises and breached the lease contract. In both cases repossession could be the result. However, as simple as it is to say what the outcome could be, the process of repossession is far from straightforward. Here, Emyr Pierce details the process and issues of commercial property repossession. In short, repossession is the end of a tenancy before the term of lease expires. This could happen from the reasons mentioned above. There are two ways a property can be repossessed. The first option is to forfeit the lease, which can be done under common law and is known as ‘peaceful repossession’. This means no court proceedings, whilst the second option would mean going to court to obtain an Order of Possession. In most commercial property contracts there will be a clause that states a landlord can re-enter the property and take possession if the contract is breached. If this is the case and the landlord wants to take the ‘peaceful’ route then notice must be given to make the public and tenant aware that the property is being repossessed. If done properly, a peaceful repossession is an efficient way of dealing with tenants and there will be no court costs to pay. If in the case where the tenant is a difficult, a landlord can go to county court to gain an Order of Possession. This can also be the safest route as it follows proper court proceedings. A landlord who wishes to instigate repossession can serve a Section 146 notice. The notice must specify the breach of contract, whether or not it can be remedied, and state any compensation requirements. Once the notice has been issued, the landlord must give a window of opportunity to remedy the breach, if it is remediable. If the leaseholder fails to do so then court proceedings will follow. Though there are different options for landlords, it is important to note the tenant’s rights as well. If an Order for Possession is filed, the tenant has the right to file for relief and in some cases, these can be granted if the tenant has paid the backdated rent or remedied the situation. Another point to note, whether you are a tenant or a landlord, is if breach of contract was noticed but the tenant continued paying as normal, the landlord’s right may then be waived and the case will be in the tenants favour. Repossession can be a complicated matter that involves many factors, which is why it is important to look for independent legal advice from a commercial property specialist to make clear of the situation. What do I do if I wish to bring my Commercial Lease to an end – or do not wish to renew? Be it an expanding business or changes to income, there are many reasons you may wish to end your commercial lease or decide not to renew. Your landlord accepts the termination of the lease. You find someone else to take over your lease. You should note that your landlord is within their rights to ask you to be the guarantor for the new tenant, meaning that continuing liability to the landlord is a prospect. Your lease includes a ‘break clause’ which would allow you to end your lease early. You are able to sublet, although you will still be liable for the rent. What happens if I do not wish to renew my commercial lease? On the contractual expiry day vacate the property and the lease will come to an end. You can serve a section 27(1) notice on the landlord, giving a minimum of three months’ notice, expiring at the lease end, that you are intending to vacate. However, if you do this and then do not leave, you will become a trespasser. Note that you, as a tenant, have no obligation to inform your landlord that you are intending to vacate. If your landlord asks you whether you plan on staying, his only option is to begin proceedings for the grant of a new lease. What if I want to end my lease shortly after the renewal date? You must give a minimum of three months’ notice and serve a section 27(2) to the landlord. Please note that previous rules where the notice had to end on a quarter day no longer apply and so the notice can end on any day; but there are rules for apportioning any rent that has been paid in advance. During a lease contract, some commercial landlords will come across a tenant who misses a rental payment. Prior to 2014, a landlord was able to exercise distress if a tenant was in arrears. This meant a landlord was able to quickly seize tenant’s goods without having to give prior notice. Usually, as a bailiff would just turn up and seize goods, this would encourage the tenant to pay the arrears without the goods having to be sold. Due to objections to landlords exercising distress, it was replaced by Commercial Rent Arrears Recovery (CRAR). CRAR is more complex in comparison to exercising distress as one of the requirements includes having to serve prior notice before goods are seized. Below, Emyr Pierce answers the most frequently asked questions when it comes to CRAR. Which tenancies are covered by CRAR? CRAR only applies to tenants of commercial properties. Mixed-use (commercial and residential) properties are not included unless they are under separate leases. What is covered in CRAR? CRAR only recovers rent with interest and VAT. Unlike distress, CRAR does not cover service charge, maintenance, insurance or other supplementary charges. How much can be seized? The first £1,350 worth of tenant’s goods is exempt from CRAR. All items above the limit, including computers and vehicles, can be seized, unless they are leased items. Does notice have to be given? Yes, with CRAR a ‘notice of enforcement’ is required and a landlord is obligated to give at least seven days’ notice, excluding Sundays Bank Holidays, Good Friday and Christmas. The ‘notice of enforcement’ gives tenants the opportunity to pay the arrears to prevent the ‘enforcement agent’ turning up, however this is also one of the disadvantages of CRAR as landlords believe tenants can move goods away so they cannot be seized. If a landlord believes this, they can apply to court for a shorter notice period but this is more costly as it involves more administration. What is the general procedure? After notice is given, CRAR can then be executed by a certified enforcement agent. The agent does not require a warrant provided he does not use force. The agent can then enter the premises anytime between 6am and 9pm, 7 days a week, or any other time provided it is within the tenant’s business hours. Once the enforcement agent is on the premises, the goods must then be secured and removed from the premises (or vice versa), or the tenant and agent can sign a ‘controlled goods agreement’. This mean tenants retain custody of goods, acknowledges the agent is taking control, and agrees not to remove or dispose before the debt is paid. Once seized goods are obtained and secured, the enforcement agent must give seven days’ notice. Goods will then be sold at an auction for the best price than can be reasonably obtained. It is important to note that if the route of CRAR is taken, a landlord waives their right to repossession. If a tenants is are going through administration or liquidation, a statutory moratorium prevents the use of CRAR. CRAR is a good option for landlords to take if a tenant falls into arrears and wants to recover pay. It is always advised to seek independent legal advice from a commercial property specialist to help understand the issue and to find out what the best options are. With house prices at an all-time high, renting is fast becoming a more popular and cost effective way to occupy a commercial property. That being said, you need to be aware of rent reviews and how they can affect you and your business. What is a rent review and what is their purpose? A rent review is the mechanism which enables rent prices to alter in accordance to the market level at the review date. The reviews typically happen every three to five years, but be sure to check the terms of your lease as the time frame can vary. How will I know if a rent review is activated? Usually you will be notified by your landlord who will quote the new figure for the upcoming rent period. If the tenant deems this unreasonable, they must say so in writing as soon as possible and can ask what the grounds for the increase is based upon. It is important that you highlight any queries as soon as possible as there are often strict deadlines to adhere to which, when missed, may result in the tenant having to pay the new price without being able to dispute it. What is the review based on? The determining factors should be specified in the lease agreement. Usually, the new rent value is based upon open market rental value which is basically the rent the landlord could reasonably expect to receive for the premises if it were leased to a third party. It will be affected by the general rent levels of similar properties in the area and if your lease allows you to use the premises for a variety of purposes, the open market rental value will be calculated as if it is being used for its most valuable purpose. What if I can’t afford the new level of rent? The first step is to try and negotiate with your landlord. If a resolution cannot be found then the lease usually stipulates the involvement of a third party, such as a chartered surveyor, to resolve the disagreement. If this doesn’t work, check if your lease includes a ‘break clause’ which allows you to surrender the property to the landlord. You may also be able to sell the lease to someone else or sublet part of the premises. Failing that, landlords will often find a compromise rather than chase you for money. Read your contract! It may sound basic but make sure you read the fine print and find out if and when you will be subject to a rent review. Typically, rent reviews are done every three to five years for long-term leases but there may not be any rent reviews for short-term leases. Trust the experts – it is someone’s job to deal with these things and they will be able to advise you towards the best solution. Document it – once the review has been settled, make sure you have signed documentation to prove that the review has been agreed and formalised. ‘The Act’- the Act being referred to is The Landlord and Tenant Act 1954 which gives business tenants automatic renewal when a lease expires. When agreeing to terms for a new lease, be aware whether the lease is inside or outside The Act or you could be in for a nasty surprise. Having your commercial lease inside the act will offer you, as a tenant, protection. It means that when your lease has expired your landlord cannot ask you to leave which, along with the inconvenience, could subsequently have a negative impact on your business. Moreover, when negotiating a commercial lease, if the landlord is adamant he will only accept a tenancy outside of the act (meaning you would have no automatic renewal rights as a tenant) you should consider whether the possibility of being forced to leave would be worth it or if you could secure a longer lease term with the landlord. The main benefit to the landlord of a lease which is outside of the act is the freedom they will have to do with the building as they please when the lease is over. The landlord may wish to renegotiate the terms of a new lease with the existing tenant or with a new tenant or may even wish to take possession of the building for their own purposes, which would be a violation of the 1954 Landlord and Tenant Act if the lease was inside the act. Are there any exceptions whereby my landlord could end my lease even if I am inside the act? As with most contracts, there are exceptions. As a tenant, you may be in breach of your lease if your rent is in arrears or the premises are in a state of disrepair. The landlord may use this chance to repossess the premises for their own use or to take time to develop and improve the site. Even with these exceptions, tenants and landlords should be aware that the landlord needs to follow a set notice procedure and cannot suddenly evict the tenant if they are inside the act. For many, signing a new lease can be an unnerving experience, particularly if it is the first time you’ve rented a commercial property. Often an exciting but daunting time, it’s important to really understand the lease before you sign, and to be aware of the main pitfalls that can sometimes cause problems for tenants further down the line. How long are you likely to remain in the property? Planning ahead is essential when it comes to any business, and the same should apply when taking on a new commercial property. If your business plan involves upsizing or relocating, it doesn’t make sense to sign a long-term contract that will tie you in for years to come. Can you transfer or sell the lease? Many tenants wrongly assume that they can assign their lease onto someone else during their lease term. Most often, leases actually prohibit assignment, and even if they don’t, you will usually still be responsible for the new tenant and how they comply with the lease. There may possibly be the option to underlet, but this can be restricted also on many leases. Will the rent change during the lease term? Tenants should be aware that periodic rent reviews are commonplace during commercial property leases. More often than not, this means that the rent charges will increase. Keep an eye out for rent reviews that seem overly frequent; a good solicitor can ensure this doesn’t happen. The vast majority of commercial leases are set up so that it is the tenant’s responsibility to pay for and organise any repairs to the property, and to organise insuring of the premises. Each lease can vary considerably, so what would be the tenants responsibility on one lease, might not be on another. Ensure that the terms and conditions are fully understood before signing anything. How easy it to terminate the lease? Commercial leases might sound like a bit of a minefield, and in some cases, they are, but with the right advice, it can be an easy and enjoyable process. Deciding on business premises can be a tricky process in itself, so make sure you aren’t caught out on minute details when it comes to signing the deal. It is always advised that you seek the advice of a commercial property specialist as to ensure that you don’t leave yourself open to litigation further down the line should disputes arise. Can I claim against survey oversight? I have just discovered that the house I bought three years ago has subsidence. We had a full survey carried out before we bought and this was not spotted. I am insured but will have to pay a hefty excess for the repairs. Can I make a claim against anyone for this oversight? YOU need to obtain an independent report from a Building Surveyor or Structural Engineer to establish whether or not the problem existed at the time you bought. A building surveyor will advise as to whether or not your surveyor should have identified any tell-tale signs that should have been picked up in an ordinary homebuyers or structural survey. If the Report is favourable, then you may have a claim against your surveyor for professional negligence. You should seek the advice of a solicitor specialising in professional negligence. You should also investigate the possibility of the problem being covered by your building’s insurance policy as this may be an easier and more direct way of recovering the cost of the remedial works. In the event of a successful insurance claim, you may still have the right to claim any uninsured losses direct from your surveyor, such as any excess, should you be able to prove negligence. As with all such litigation the cost of pursuing it must be weighed up against the overall cost of the works. Can I be forced to paint the outside of my house? MY neighbour is having the outside of his house painted to put on the market and mine is looking very tatty next to it. He says the state of my property is now affecting the value of his and has asked me to get mine repainted. He is threatening me with his solicitors. Can he do this? NO he cannot. If your property is very dilapidated due to lack of maintenance then the only remedies available to your neighbour would be a local authority enforcement notice declaring the property to be in a dangerous state which would require you to carry out urgent repair works for health and safety reasons, or action by an estate owner who may have the benefit of a restrictive covenant for repair should you live on a development where all properties are subject to various covenants including an obligation to keep the property in a good state of repair, and to decorate the exterior of the property, say, every five years. Do I need Planning Permission for my boat? I am considering buying a boat, but the only place I can keep it during the winter months is in the front garden in full view of the neighbours. Will I need Planning Permission for this? The first thing you need to establish is whether your property is subject to any restrictive covenant preventing you from placing or storing a boat on your property. Many properties are subject to covenants or restrictions preventing the storing of anything other than domestic vehicles on their properties. Planning Permission is not mandatory in such circumstances, but you will be well advised to check with the local authority planning department first in order to ensure there is no objection. If you can fence around the area where the boat will be stored then this very often helps in appeasing the neighbours, who can see that you are making efforts to consider them by screening what many may regard as an eyesore. As with all potential planning related issues it would be courteous to discuss this with your neighbours to establish that they have no objection to your storing the boat on your property. Even if there was a restriction on the title preventing you from doing so, it is less likely to be enforced if you have the support and backing of your neighbours. After all, breaches of covenant are often raised directly as a result of objections received from neighbours who are often subject to similar restrictions. Do I still have to pay my rent after I’ve moved out? In my Tenancy Agreement there is a clause stating that if I wish to terminate the agreement and move out, I will still have to pay my landlord until a new tenant is found. Is this lawful? 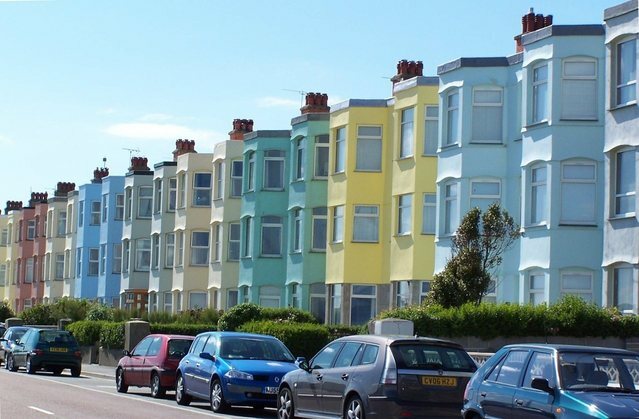 All residential short-term Tenancy Agreements granted for a fixed term of at least six months, but not exceeding 12 months, are deemed to be Assured Shorthold Tenancies. These fixed term tenancies ensure that both the landlord and tenant are committing to a fixed period of a minimum of six months and a maximum of 12 months. Should you wish to terminate this agreement before the end of the fixed term you may well have to pay your landlord rent for the balance of the agreed contractual term of the Tenancy Agreement unless your landlord can find an alternative tenant to take the premises within that period, in which case the landlord may, but is not obliged to, release you from the terms of your Tenancy Agreement before the end of the fixed term. If you continue to occupy beyond the fixed term period specified in the Agreement then the Agreement can be terminated by either party giving the other notice to terminate as specified in the Agreement. Provided these notice periods are adhered to then you will be free to leave. Any Tenancy Agreement containing such a term stating that you are obliged to continue to pay rent until an alternative tenant is found for the property is not only unusual, but would probably be unenforceable and considered to be an Unfair Contract Term in so far as it relate to a period beyond the fixed term of the tenancy. The position should be easily clarified by talking to your solicitor.